I haven’t been going to garage sales as much as I’ve wanted to this year. On Saturday, I was out running errands and saw a sign for a block garage sale. I stopped by since it promised to have many sales in one area. Overall, it was pretty disappointing. I love to get books at garage sales and nobody had any. Don’t people read anymore? 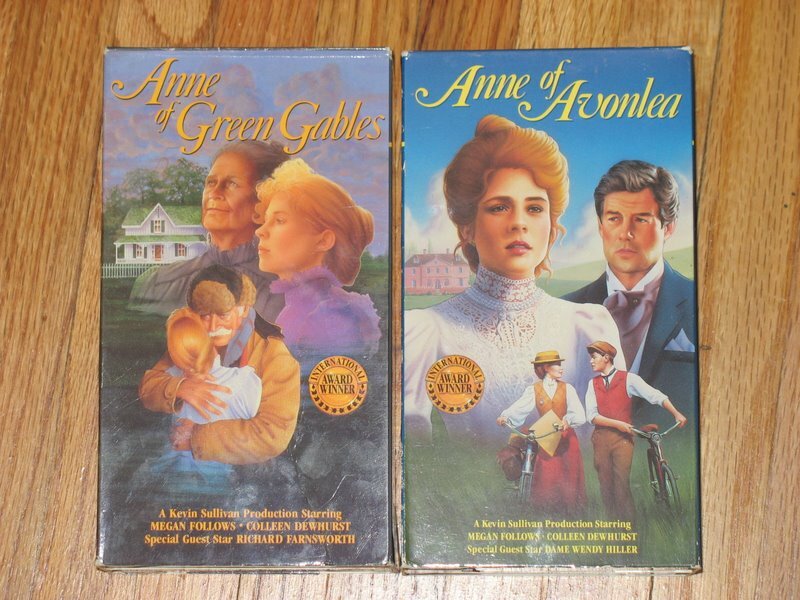 My luck changed when I got both Anne of Green Gables and Anne of Avonlea together for one dollar. I was so giddy. I’ve watched both of these on OPB since I was a small child. I even have a very old taped version complete with the OPB station breaks. I’ve pretty much worn out that copy. My husband has no idea what fun is in store for him to watch all 8 hours of Anne’s adventures. The only other thing I purchased was The Incredible True Adventure of Two Girls in Love. Normally I don’t buy movies, let alone VHS tapes (Anne of Green Gables is an exception). But finding good gay/lesbian movies used is extremely difficult. I got this for some friends, but I think I will need to re-watch it again before giving it to them. I love garage sale scores! good times! You always find neat stuff at garage sales and second-hand stores….I hate rummaging through all the junk to get to the good stuff, so I rarely stop. I guess I should learn from you. To feed my Garage Sale fix I built http://www.garagesalenation.com, it maps out all the sales in the country. Last weekend I had over 24,000 sales mapped on it. Hope it helps you find even more sales.